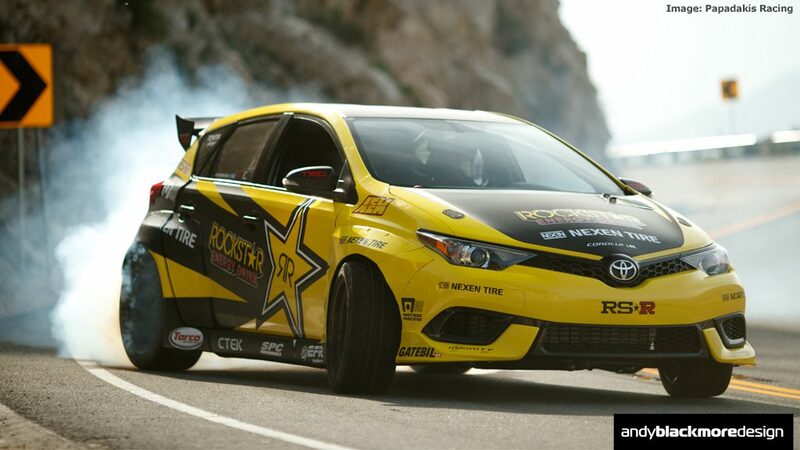 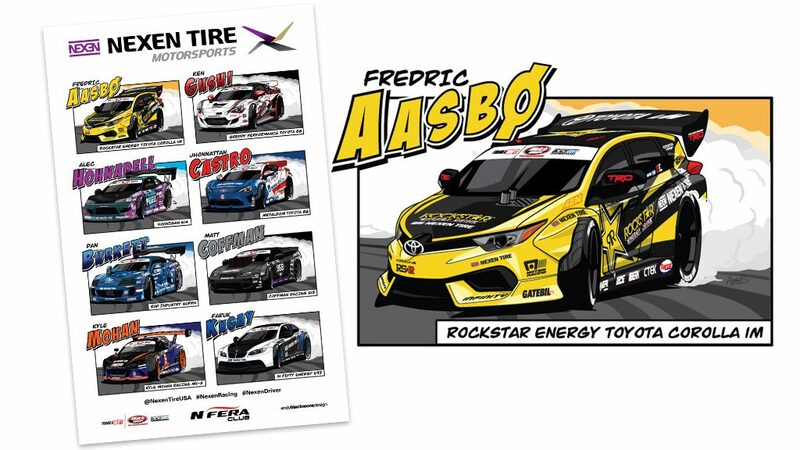 The Nexen Tire ‘Toon’ Spotter Guide returns for a second year and features the leading Nexen Tire drivers in the 2017 Formula Drift Championship including Fredric Aasbo in the Papadakis Racing Toyota Corolla iM featuring an Andy Blackmore Design livery. 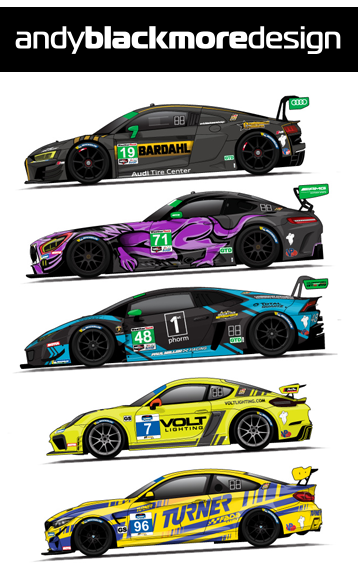 Nexen originally commissioned me for a set of illustrations to showcase their entries and as this doubles up as a fan poster this takes a slightly different form of guide with my own style of car-TOONS after Nexen saw my Instagram images of my range of IMSA ‘car-toon’ cars earlier last year. 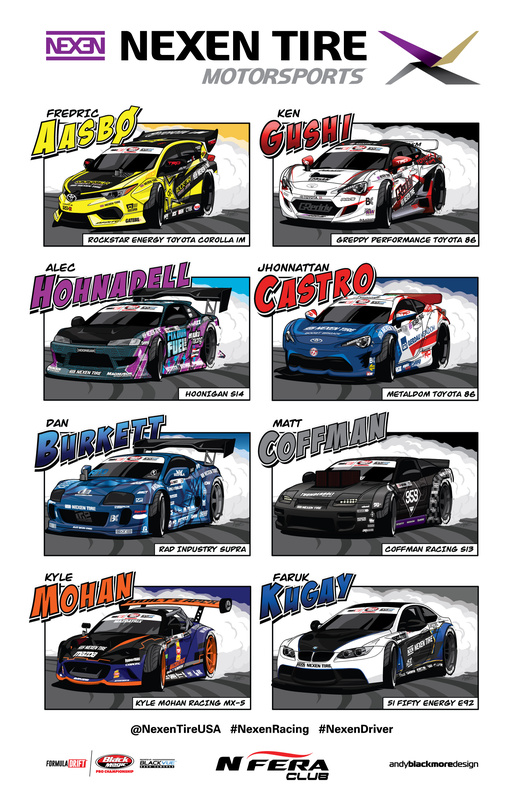 The Hero Card style Spotter Guide is available to download here, or if you attend an event from Nexen Tires.